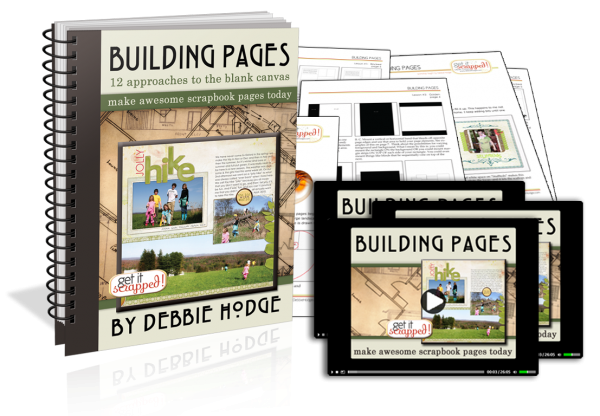 Debbie Hodge at Get it Scrapped has a great new class offering called Building Pages. It is an amazing offering that is both instructional and inspirational! It comes with a huge PDF document, a collection of sketches/layered templates (compatible with Photoshop) as well as 12 short videos that correspond with the 12 lessons included in this self-paced class. In case you missed it, I posted details and a review of this class last week. Go here to check it out for more information! 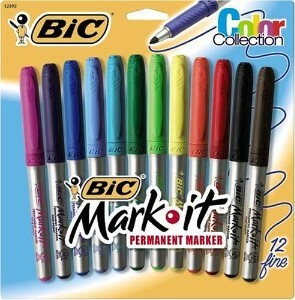 This month BIC is a paid advertiser advertising BIC Mark-It™ Permanent Markers on my blog. BIC Mark-It™Permanent Markers come in 36 colors in Fine and Ultra Fine tips and are the perfect tool for inspiring creativity! A soft rubber grip provides all day comfort when working on detailed projects. These permanent markers give you everything you need for any craft project you can imagine. Set your creativity free with these 36 acid-free* colors! Click here to find them on Facebook®! 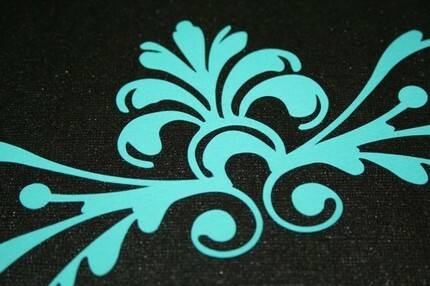 This month, this scrapbooking scroll called Damask Burst in turquoise is what caught my eye. 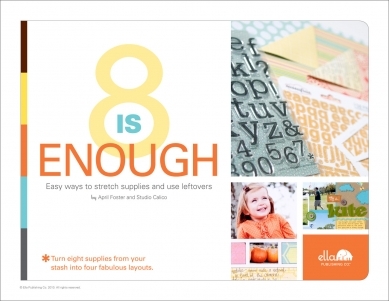 Ella Publishing Co. is back with another great eBook offering this month - 8 is Enough by April Foster and Studio Calico. In this eBook, five talented scrap artists show that a little product can go a long way! Watch for a detailed review (and a giveaway) of this eBook title on my blog very soon!